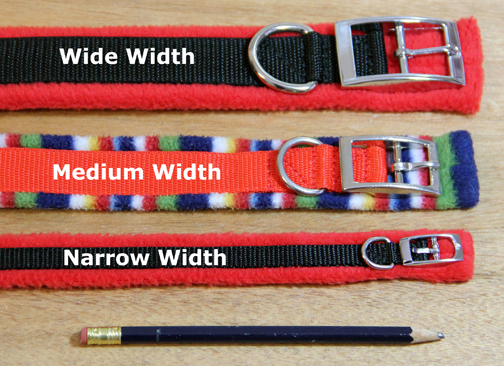 Measuring for Collars: Read carefully!! YOU MUST include this comfort room as the collar is best designed to fit without adjustment from the size given. 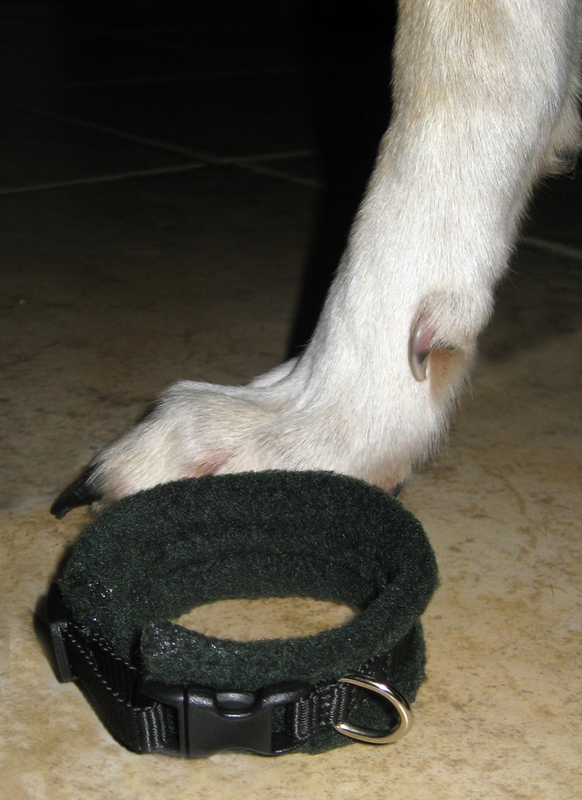 With a tiny dog / cat sometimes 1 finger is enough – use your judgement – you don’t want the collar to fit too loosely to wear either. The collar will be made to fit at THIS measurement (I add a padding allowance so don’t add any extra for that yourself). It can help to have someone to hold your pet gently, don’t force him, or someone can distract with treats, while you measure, if he is wriggly! 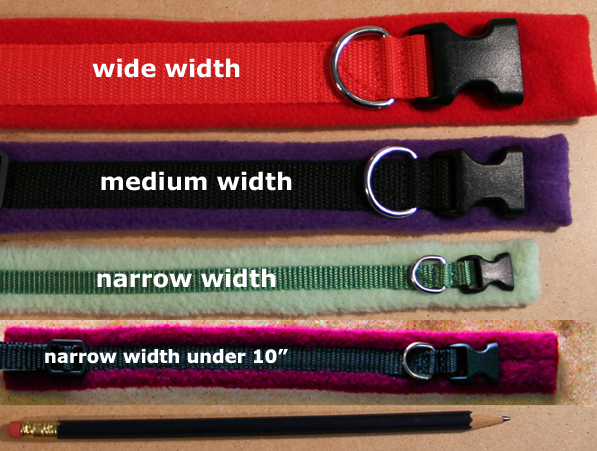 (The made-to-measure collars adjust upwards from the measurement given by a couple of inches, but this section is unpadded when lengthened). If you don’t have a measuring tape, use a piece of string and then measure the string against a ruler. 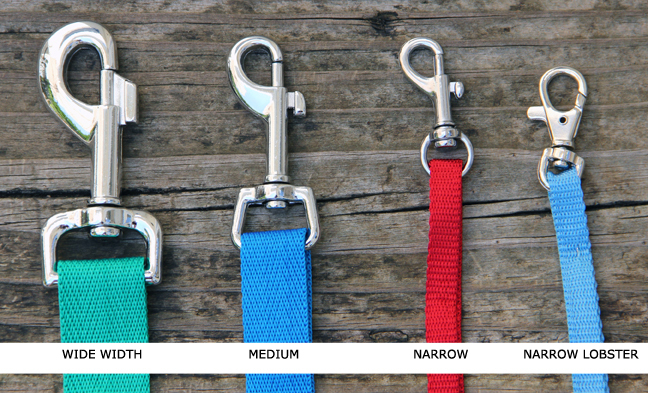 PADDED COLLARS WON’T ADJUST ANY SMALLER, AND IF YOU ADJUST UPWARDS THERE WILL BE A GAP IN THE PADDING. for Buckled collars - measure from point A (see pic below)- centre bar of the buckle (or where the tongue is joined) along the collar, to B – the centre of whichever hole that is used to do up the collar on YOUR PET usually. or for Quick Release Buckle collars – measure from point A (see pic below) – the top of the solid (female) part of the buckle, along the length and stop at B – point where the webbing folds around the pronged (male) part of the buckle – do NOT include the pronged buckle part in your measurement. 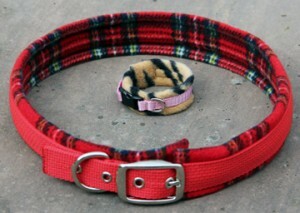 *Please DON’T use any padded collar to measure from. 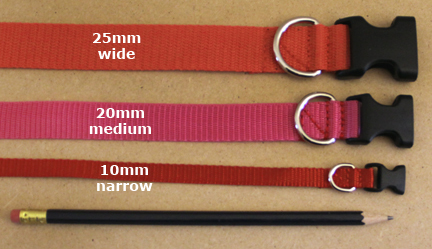 Collar Widths: To get an idea of which width of collar is best for your pet, have a look at the photos below, comparing the webbing widths to a standard pencil….if you are really unsure you can cut a strip of paper to the widths below and try on your pet. 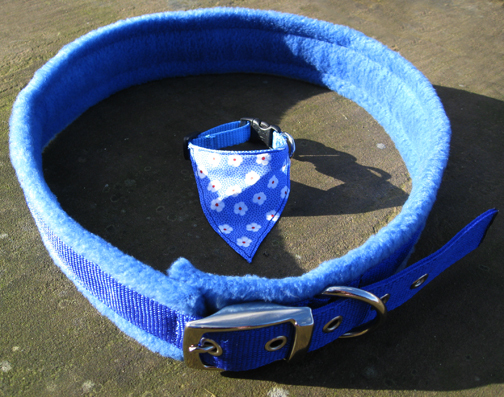 A wider collar is always more gentle! Big or small – no problem! 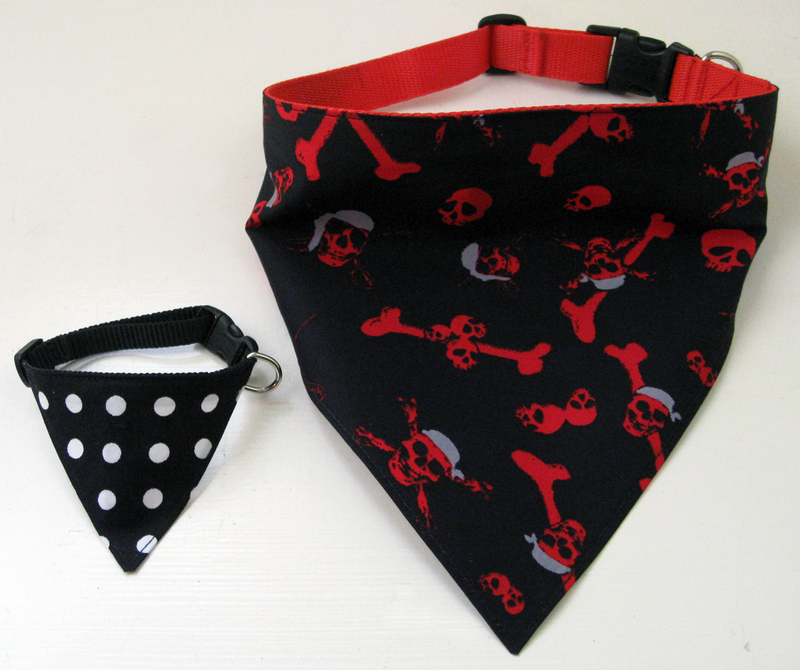 Padded Collars & Leads uses WordPress as content manager.